DEATH and bereavement will be the focus of an event in national:- 'Dying Matters Week,' 14 May to 18 May 2018, at The Concourse, in Skelmersdale, on Friday, 18 May 2018. West Lancashire residents are encouraged to talk more openly about death, including how they want to die and their funeral plans. More importantly, what people would like to do prior to their final day or night; some people draw up a 'Bucket List' of activities they would like to experience. They can learn how the NHS, hospices and other local services provide support to those nearing the end of their lives, as well as their families and carers. Doctor Tim Jones, Assistant medical director at Queenscourt Hospice, said:- "We want to support people in communicating openly about death and dying, and hope that the events we are hosting will give all members of the public an opportunity to come and find out more. 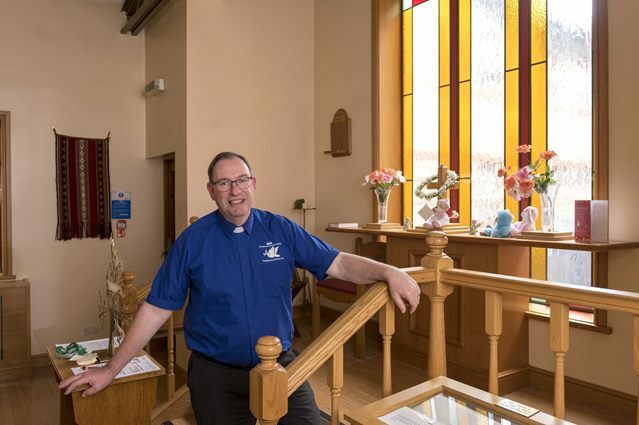 As well as getting people talking, this year the focus is on what people can do to help in the community; including voluntary work in a Hospice." Rev. Martin Abrams, chaplain at Southport and Ormskirk Hospital NHS Trust, added:- "The local NHS, social care and hospices now have a range of support services available to help those approaching the end of their lives, as well as their loved ones and carers. We know that facing the idea of an end of life plan can be extremely hard to do but by just starting the conversation with the right people means that we can provide the right support in the future." The public can get involved in Dying Matters Week by joining the public event, on Friday, 18 May, 2018, at the The Concourse Shopping Centre, (1st floor) in Skelmersdale where West Lancashire Information and Support Service and Queenscourt Hospice, will be hosting the Dying Matters event. Partners will also include:- the NHS, Age UK, Mooney and Everett Solicitors, Lancashire Well Being and Crossroads Care. A volunteer support group for people suffering with chronic pain in Southport and Formby celebrated its 10 year Anniversary, on Friday, 4 May 2018. The volunteer group:- "Pain Clinic Plus (PC+)," operates from Ainsdale Centre for Health and Wellbeing and is run by people who experience chronic pain to support each other and know that they are not alone. The celebratory event was held for people who experience pain, and their families, carers and friends. The group runs in conjunction with Lancashire Care NHS Foundation Trust's Community Pain Service, which is based at Ainsdale Centre for Health and Wellbeing. Dr Becky Simm, Senior Clinical Psychologist at Lancashire Care NHS Foundation Trust, said:- "This is an example of a successful expert patient and health service collaboration in a community setting to sustainably support those living with long term conditions, particularly important when NHS resources are limited. Our expert patient volunteers inspire others with pain to live well, and are good role models. The group is a source of tips and support for people, as well as an opportunity to try out activities, experience success, and build confidence despite the presence of their pain. A lead volunteer with our Pain Clinic Plus group is Kevin Howard, who initially worked with clinicians in our NHS service many years ago when he was struggling with his pain. He found he was able to find purpose and meaning again in his life, despite his ongoing pain, and now is busy inspiring others through his role in PC+. The success of PC+ has inspired various spin off groups, such as our wellbeing choir "Good Vibrations," a chair based exercise group, coffee mornings and other self-management groups, and we hope, in time, to develop further community initiatives with our expert patients." Kevin Howard, 56, is a service user and volunteer for the support group. Kevin has been with the group since its inception in 2008. He said:- "We had around 100 people turning up on the celebration day. It was a fun day and really lightened up the spirits. Many of our attendees said they enjoyed the event and we're looking forward to the next 10 years. We started off in 2008 with just 2 or 3 people and over the years I've watched the group develop and become popular. It helps pain sufferers cope with their pain by socialising and being distracted for a little while with different activities. Many people have pain and think they cannot be bothered. They are alone and isolated, and we are telling them to come and join us and know that they're not alone. It is a friendly relaxed atmosphere. When I 1st came to the Community Pain Service, I was encouraged to think about what I could do and what was meaningful to me. 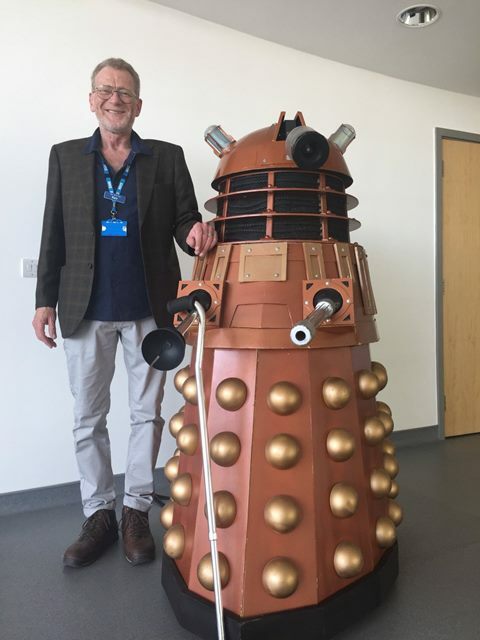 I built a Dalek around 10 years ago as a way of spending quality time with my son who was about 10 at the time and an avid Dr Who fan. It was also about teaching him practical skills, as I was unable to kick a ball because of the pain I was suffering It was a great bonding exercise which really helped develop a 'can do' attitude and a positive outlook on life with my condition." The event included cakes, healthy fruit, information stalls and a raffle with proceeds going towards paying for painting material, craft material and tea and coffee for future sessions. 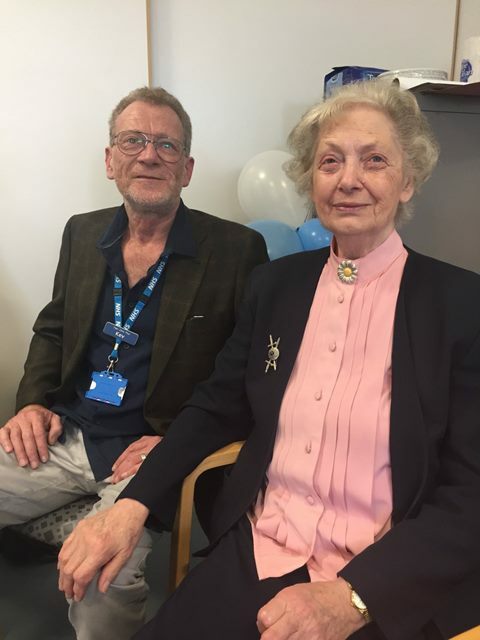 Speeches and a presentation celebrated the great work of Kev and all the expert patient volunteers, past and present, who have worked very hard over the years and make a big difference to people living with chronic pain locally. 'LET It Be' is 'A Celebration Of The Music Of The Beatles' returns to the UK for a national tour starting in Summer 2018, and comes to the Liverpool Empire, from 3 September to 8 September 2018. It returns to the UK with a brand new 2nd ½ of the popular show, giving audiences a rare glimpse of how the band may have continued as a 4 piece. Fans will see The Beatles reunite for 1 night only, with the new section of the show set a decade after the group went their separate ways. The cast has been revealed as:- Michael Gagliano who will play John Lennon; Emanuele Angeletti as Paul McCartney; John Brosnan as George Harrison; and Ben Cullingworth as Ringo Starr. The band will be joined on stage throughout the tour by musical director Michael Bramwell on keyboards. Producer Jeff Parry comments:- "I grew up listening to The Beatles, they sparked a passion for music which, for me personally, has gone on to become so much more; a career, and a way of life. Their talent, hunger, and incredible ambition inspired me to follow my dreams too. The Beatles were so much more than a group. And it's unbelievable to think that Let It Be was released 48 years ago, it still sounds as current as it did back in 1970. Our strong cast of Michael, Emanuele, John and Ben, along with musical director Michael are going to give audiences a show they have never experienced before; The Beatles' concert that never was. Developing the show with the new Part II has been a complete labour of love and I am so excited to now introduce this brand new element to UK fans." Let It Be has firmly established itself as a successful West End and international touring show. And now the smash hit stage show has been updated and is back on tour, featuring a brand new 'Let It Be Part II' which has never been seen before in the UK. The show is a celebration of the phenomenal music of The Beatles, and has already been seen by more than 2 million people worldwide, including an acclaimed run in the West End and 2 UK tours. Let It Be is the ultimate experience for Beatles fans, and features many of the Fab Four's best loved songs including:- 'A Hard Days Night,' 'Day Tripper,' 'Sgt. Pepper's Lonely Hearts Club Band,' 'Twist and Shout,' 'I Want To Hold Your Hand' and 'Strawberry Fields Forever. The team behind international hit stage show Let It Be, have come together once again to create a very special show for fans by incorporating a brand new 'Let It Be Part II' into the show. The updated Let It Be production will be premiered in the UK when it opens at Cardiff's Wales Millennium Centre, on 20 August 2018. The show will then embark on a UK, European and international tour taking countries including Germany and North America. Beatles fans are invited to join John, Paul, George and Ringo for a great night of live music. Enjoy the early beginnings at the word famous Cavern Club, through to the height of Beatlemania. In a twist from the original Let It Be show, audiences will then be taken on a Magical Mystery Tour to experience the concert that never was. Part II of Let It Be is the brand new part of the show, giving audiences the rare opportunity to see The Beatles reunite for one night only, set a decade after the group went their separate ways. 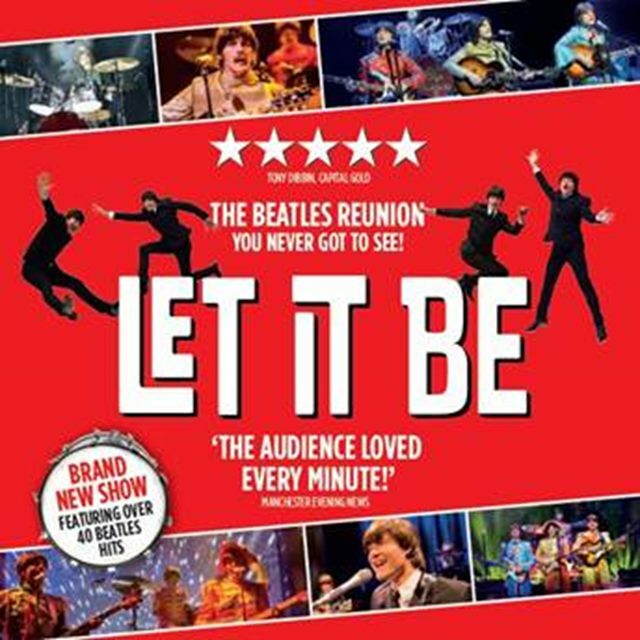 After opening in Cardiff, the updated Let It Be show will then visit:- Cheltenham, Liverpool, Nottingham, Dublin, Hull, Edinburgh, Dartford, and Manchester. For more information about other venues and about the show visit:- LetItBeLive.com. To book visit the Empire's Box Office, call:- 0844 871 3017 or buy online at:- ATGTickets.Com/Liverpool - Please note that fees apply to online and telephone bookings.